Former FDC president, Dr Kiiza Besigye has this morning survived an accident after his car tyre burst. Besigye who was travelling in a Land cruiser registration number UAN 661V. 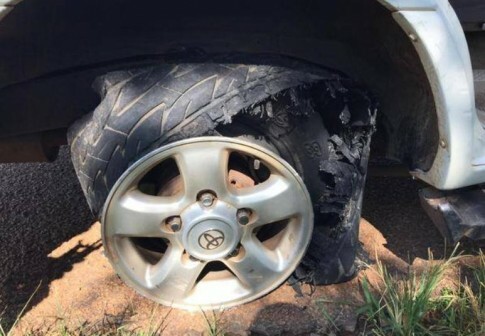 Kizza Besigye however has blamed the accident on an alleged substance sprayed on his tyres during his arrest at Nakivubo. Efforts to get a comment from the police were futile by press time.